Are Consensus Picks DIY Tools Right For Me? Our Consensus Picks™ system is based on our latest intelligence of the buying & selling by . Our GuruRank® system and our DIY tools are designed to screen for their top collective or consensus picks, i.e., stocks that a large number of them are accumulating or selling in bulk. And finally our GuruValue™ system assigns a dynamic valuation target to each stock, based on our proprietary algorithm that calculates what value Gurus would assign to each stock today, based on current conditions. We believe these and other tools & services give the DIY investor and trader a powerful way of beating the markets by accessing not one, but a mastermind of 330+ of Wall St.’s top fund managers. If you are a Do-It-Yourself (DIY) investor or professional money manager who picks stocks based on your own research, then you can use our Consensus Picks’™ DIY tools to discover new stock picks that are under heavy accumulation or distribution by a large majority of top fund managers. Turning it around, you can use the tools to confirm your buy or sell thesis on stocks you already own or may may be interested in, or you can build a model portfolio based on the top consensus buys & sells of these top fund managers. If you do not fit this profile, you should review our ConsensusAlpha Newsletters, suitable for all investors, and our AlphaNews Edge Trade Alerts Services, available for self & auto-trading. Which DIY Tools Package is Right For Me? Basic Membership – Our Introductory DIY Tools Package…Multi-Qtr. Top Consensus Picks by 78 Guru Fund Mgrs. Premium Membership – Our most popular DIY Tools Package…Multi-Qtr. Top Consensus Picks by 330+ Top Fund Mgrs. incl. 78 Guru, 27 Mega, 165 Sector, 59 Billionaires, 54 New Masters, 40 Tiger, 52 Activists & WinnersCircle™ Top 100 Hedge Funds.The 165 Sector funds incl. 29 consumer, 27 energy, 23 finance, 7 gold, 25 healthcare, 11 real estate & 43 tech-focused funds. Channel Membership – for Sector Specialists…Access to Multi-Qtr. Consensus Picks by All 330+ Top Fund Mgrs. for the Channel of your choice. Choose between (i) Healthcare, (ii) Technology, (iii) Basic Matls., Energy, Industrial & Utility, and (iv) Consumer & Retail, Financials & Business Prds./Svcs. What DIY Tools Are Offered At Each Level? 1Industry Top Consensus Picks Screen (view here). 2Portfolio Check Tool (view here). 3Advanced 13D/G Archive Screen (view here). 4Current Qtr. Consensus Picks by Fund Group. 5Multi-Qtr. (Eight+ Qtr.) Consensus Picks by Fund Group. 6Top Buyers, Sellers & Holders. 7Archive of All 13D/G Filings for Two+ Years. 8Current fundamentals vs. closest peer group. 11 Multi-criteria Consensus Picks’ Screen (view here). 12 Multi-crit. Consensus Picks & Fundamentals Screen (view). What Other Benefits Are Offered to Members? 13Access to latest SEC 13-F’s by 330+ top funds (view sample). 14Access to latest SEC 13-D/G’s by 330+ top funds (view sample). 15Advance early access to our ‘Top Ideas’ & other articles. 16Periodic e-mails outlining value opportunities. When is the Consensus Picks’ Data Updated? ✱ SEC 13F’s: Quarterly, as they come in, updated EOD daily. ✱ SC 13D/G’s: Daily, often real-time, latest EOD daily. ✱ Consensus Picks’ Reports: (i) Major refresh every quarter, 3-5 days after the SEC deadline (on 2/17, 5/15, 8/14 & 11/14 in 2015); and (ii) Daily update of other data, including 13D/G’s, prices, GuruValue™, etc. Can I Profit From Your System? The DIY tools are to be used by the self-directed investor or money manager. We have provided many practical examples in the right column of how our system can be applied profitably. For a full review, please click on the charts in the right column, as well as the links under each section that will open up pop-up windows with more practical examples from prior quarters. Besides that, even more examples can be gleaned from the 900+ articles we have written for leading financial blogs including SeekingAlpha.com and the Motley Fool. How do I Subscribe? And What Are the Rates? You can subscribe with your credit or debit card using the form below, and picking the right plan and subscription period. Users of PayPal can purchase their subscription by clicking on the appropriate buttons on this page. You may try us risk-free. All GuruFundPicks.com subscriptions come with a 7-day free trial and a 30-day no-questions-asked 100% money-back guarantee. Transactions are processed at the end of your 7-day free trial period, so if you cancel before that time, there will be no charges. 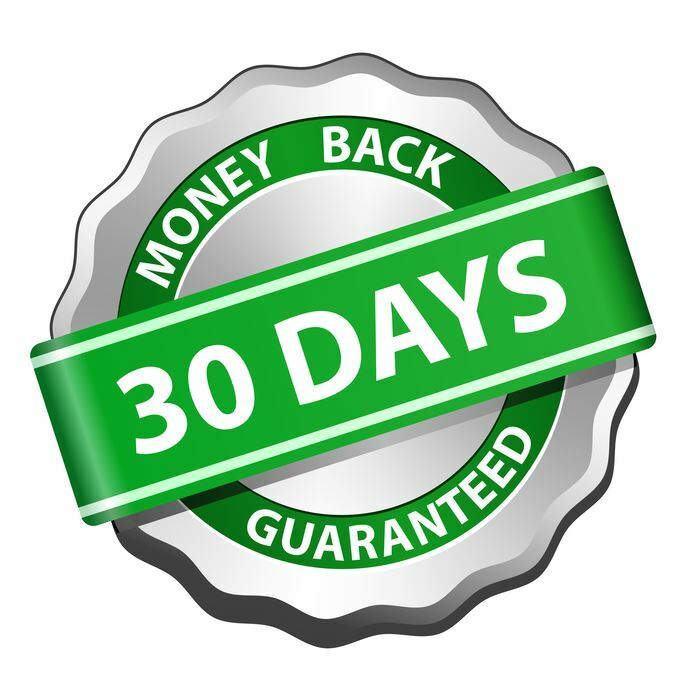 Beyond that, if you cancel within 30-days, you will receive a full refund, no-questions-asked. Can You Give Me Some Practical Examples? There are literally hundreds of examples every quarter illustrating the practical benefits of using our Consensus Picks’™ system. We will highlight a few of them in the sections below. The following is a sample of stocks under heavy accumulation by our top funds in 3Q’14, as profiled in our latest quarter update in mid-Nov’14, with many under multi-qtr. accumulation. The following is a sample of stocks under heavy selling by our top funds in 3Q’14, as profiled in our latest quarter update in mid-Nov’14, with many under multi-qtr. selling pressure (please click here to view the charts in a pop-up window). The following is a sample of stocks under heavy accumulation by our top funds in the prior 2Q’14, as profiled in our prior quarter update in mid-Aug’14, with many being bought over multiple prior quarters, and all of the ones picked were also accumulated in the most recent 3Q’14 (please click here to view the charts in a pop-up window). The following is a sample of stocks under heavy accumulation by our top funds in 1Q’14, as profiled in our update in mid-May’14, with almost all of them also being accumulated in the most recent 3Q’14 & 2Q’14 (please click here to view the charts in a pop-up window). The following is a sample of stocks under heavy accumulation by our top funds in 4Q’13, as profiled in our update in mid-Feb’14, with a majority also being accumulated in the most recent 3Q’14, 2Q’14 & 1Q’14 (please click here to view the charts in a pop-up window). Facebook (FB): Persistent Aggressive Multi-Qtr. Huge Accumulation By Top Funds Every Qtr. Since Q2/2013 – FB up 200% in that time. Google (GOOG): Strong accumulation Q2/2012-Q4/2013 during which it doubled. Heavy selling since then & GOOG has flat-lined. Gilead (GILD): Extremely heavy multi-qtr. buying by top funds in Q2 & Q3/2012 prior to huge five-fold rally from $20’s to >$100. Baidu (BIDU): Strong accumulation by top funds starting Q2/2013-to-Q2/2014. Stock has almost tripled vs. $DJI up 20%. Walgreen (WAG): Strong accumulation by top funds every qtr. Q2/2012-Q2/2014. Stock up 150% vs. $DJI up 40%. Adobe (ADBE): Persistent heavy buying by top funds in 9 out of last 10 qtrs. to Q3/2014. Stock up 150% vs. $DJI up 50%. Eaton (ETN): Aggressive heavy buying Q2/2012-Q3/2013 & Stock up 75%. Aggressive selling Q4/2013-Q3/2014 and stock is down since. HCA Inc. (HCA): Strong buying Q4/2012-Q3/2014 in 7 out of 8 qtrs. Stock up 150% vs. $DJI up 35%. Cheniere Energy (LNG): Strong buying every qtr. since Q3/2012 by top funds. Stock up 300%+ vs. $DJI up 40%. Fleetcor Tech (FLT): Strong buying every qtr. since Q2/2012 by top funds. Stock up 300%+ vs. $DJI up 50%. Affiliated Managers Group (AMG): Strong buying every qtr. since Q2/2012 by top funds. Stock up 100%+ vs. $DJI up 50%. VipShop (VIPS): Strong buying every qtr. since Q2/2012 by top funds. Stock up 30-fold+ vs. $DJI up 50%. Coca Cola (KO): Heavy selling by top funds Q3/2012-Q1/2014, during which KO severely under-performed, flat vs. $DJI up 25%. AT&T (T): Heavy selling by top funds Q2/2012-Q4/2013, during which T severely under-performed, flat vs. $DJI up 35%. IBM (IBM): Heavy multi-qtr. selling by top funds Q2/2012-Q3/2014, during which IBM is down ~20% vs. $DJI up 50%. Philip Morris (PM): Persistent selling by top funds in 8 of 9 qtrs. Q2/2012-Q2/2014. Stock is down ~5-10% while $DJI up 50%. McDonalds (MCD): Persistent selling by top funds in 8 of 10 qtrs. Q2/2012-Q3/2014. Stock is flat while $DJI up 50%. EMC Corp. (EMC): Heavy selling by top funds in 7 out of last 10 qtrs. to Q3/2014. Stock up 5-10% vs. $DJI up 50%. Our founder & CEO, Manish Babla has more than two decades of experience investing. During the past 10+ years, he has been managing full-time his family partnership fund Ganaxi Capital, during which he has out-performed the markets using Consensus Picks’ & other proprietary methodologies, including generating a 2,600% return in 3 years. Mr. Babla holds a M.S.(Engg. ), and MBA from University of Virginia Darden School of Business. He has 10+ years consulting experience, including advising Fortune 500 Sr. Execs while working at Management Consultant A.T. Kearney. For more info, view his LinkedIn Profile. GuruFundPicks is also a top author on leading financial blog Seeking Alpha, writing over 900 premium & ‘Top Ideas’ articles since early 2011. Our articles have also been featured on Motley Fool, CNBC, Yahoo! Finance, Google Finance, and other portals. Important: Current subscribers, free or paid, will have to log-in first, before purchasing or upgrading a subscription. Risk-free Offer: All products come with a 7-day Free Trial & 30-day 100% Money-back Guarantee on your first purchase. No questions asked. Payment will be processed at the end of Free Trial. No charges will be incurred if cancelled during the trial. Transactions are protected with industry standard 256-bit SSL encryption from GoDaddy, the world’s leading domain registrar & hosting co.
Online transactions are seamlessly & automatically processed by Authorize.Net, the largest provider of online payment gateway services. seeing that so many of your top funds were buying CTIC last quarter (3Q/2013), when most of the so-called writer experts were negative, gave me the confidence to stay invested in it. Your system works. Thanks. Last May (2012), I found two really small companies, shipper Navios and IT provider Epam, that your gurus were buying. Both are up good. Thanks! I am a long-term holder of Netflix and was getting nervous holding it as it kept going up. Knowing that your gurus were still buying more probably kept me from selling out of this winner. Thanks! I have copied Icahn, Klarman and other experts for a while, with limited success. Your Consensus Picks just make a lot more sense to me, and the results so far have been good. based on the collective or consensus buying & selling of our hand-picked 330 of Wall St.’s top fund managers (including 78 Guru, 27 Mega, 165 sector, 59 billionaires, 54 New Masters, 40 Tiger and 52 Shareholder Activists), 85% of those being hedge fund managers. At its essence, the Consensus Picks&8482; system ranks (GuruRank®) the stocks based on their attractiveness to 330+ of Wall St.’s top fund managers, based on their latest buying & selling, and assigns a dynamic valuation target (GuruValue™) based on our proprietary algorithm that takes into account Guru fund buying & selling as well as a host of other proprietary technical and fundamental indicators. a system that ranks over 6,300+ U.S. exchange-traded stocks based on their attractiveness to 330+ of Wall St.’s top fund managers, based on their latest buying & selling. a system that assigns a dynamic valuation target based on our proprietary algorithm that takes into account Guru fund buying & selling as well as a host of other proprietary technical and fundamental indicators.